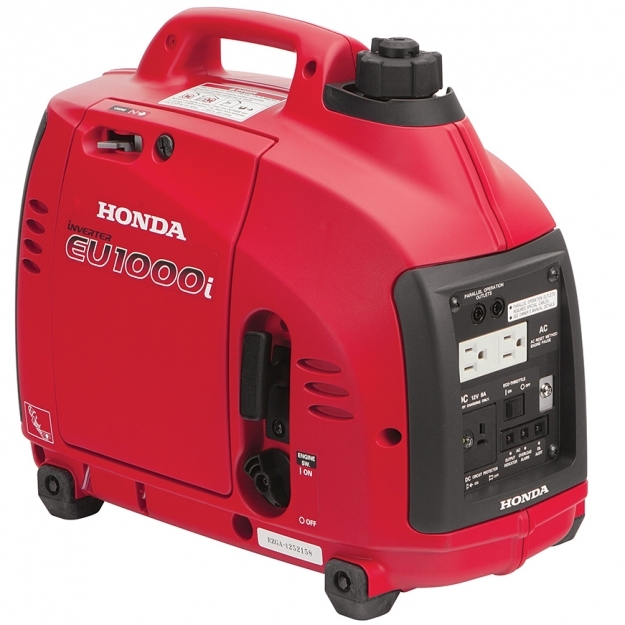 The EB2800i and EG2800i are recent additions to Honda’s generator lineup, combining low noise and low weight with tough frame construction. If you just bought one of these models, there are a few things you should know before you start using it. Running an internal combustion engine indoors can kill you in just a few minutes, even if you have doors and windows open. Carbon monoxide in the exhaust keeps red blood cells from carrying oxygen, leading to asphyxiation and death. Plan ahead by getting extension cables to deliver power where you need it while leaving the generator outside. Always run the generator at least three feet (one meter) away from any building walls or roofs. If you hook your generator up to your household wiring, you are legally required to have it connected to a transfer switch installed by a professional electrician. This switch cuts the connection between the house wiring and the grid, where it could electrocute line workers. 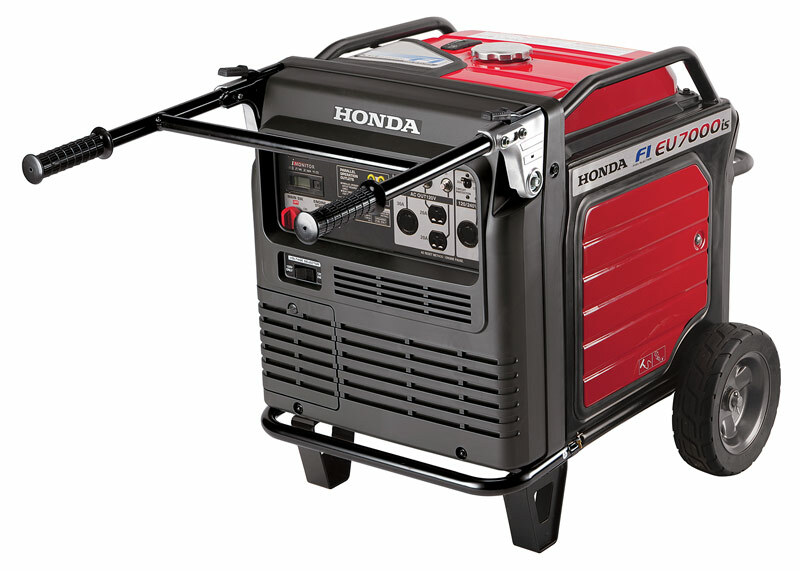 Every generator Honda makes is tested at the factory. There may be some residual fluids left over, but gas and oil still need to be added during setup. Unlike some equipment, oil is not included in the box. Honda recommends using SAE-certified 10W30 motor oil for most operating conditions. Along with oil and fresh gas, you’ll also need a long funnel to add oil to the engine. 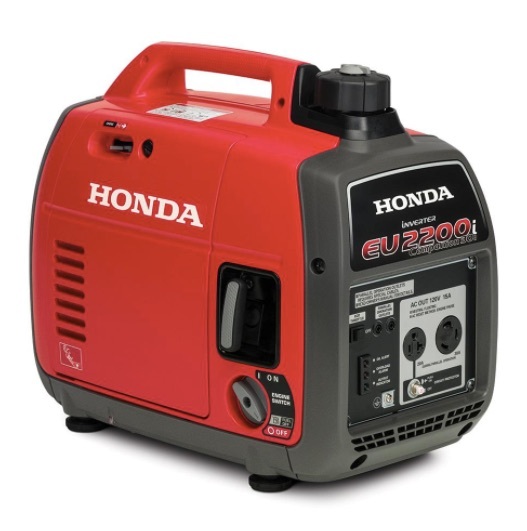 Your generator can be registered by sending in the registration card, filling out a form on the Honda Power Equipment website, or scanning the QR code in the “Registration” section of the owner’s manual. 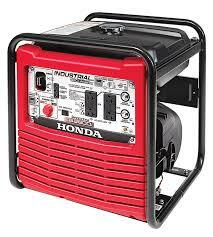 You need to register your generator to get recall information and make warranty claims. Add oil before trying to start the generator. Even with the Oil Alert system, it’s possible to damage internal components by repeatedly turning over the engine. To add oil, start by unscrewing the oil dipstick/cap, located at the base of the engine next to the frame rail. Pull it out and set it aside. Place a rag under the filler neck and use a funnel to add 10W30 oil to the crankcase. It should take between 12-13.5 oz. (340-380 ml.) The oil is at the right level once it’s at the edge of the filler neck. Screw the dipstick back into the engine. The Oil Alert system will shut down the engine if there isn’t enough oil in the crankcase. Indicator lights for the system are located on the front panel. The engine can run on automotive gasoline that has an octane rating of at least 86 and a maximum of 10% ethanol. 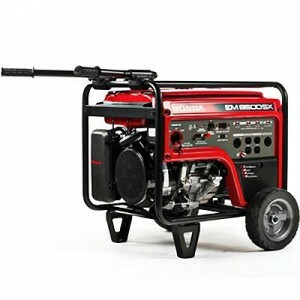 This fuel should be fresh, purchased within 30 days, or within 90 days if it has been treated with a stabilizer: if you store the generator for long periods, it’s a good idea to drain the fuel tank and carburetor. The tank should be filled no higher than the red fuel level mark inside the tank screen. 3. Pull out the choke rod, located on the upper left of the control panel, to the closed position. 5. Hold down the generator with one hand, then gently pull the starter grip until you feel resistance with the other hand. Give the grip a hard pull. It should start. 6. As the engine warms up, slowly move the choke lever back in. Let the generator warm up for three minutes. If the engine runs fine with the choke completely open, the generator is ready to use. Again, there’s no special procedure for your first use of the engine. 1. Disconnect any cables or appliances connected to the generator. If you want genuine Honda oil for your generator’s engine, or you need parts for maintenance and repairs over its life, you can get everything you need at www.hondalawnparts.com. Our site makes it easy to find parts by letting you search by your model and see factory diagrams and descriptions, so you know you’re ordering exactly what you need. We ship across the U.S. and Canada.